In 2002, Russian author Dmitry Glukhovsky published a novel to the Internet dubbed “Metro 2033.” At the time Glukhovsky had envisioned Metro 2033 as an experiment in modern publishing. He hoped it would be a hit, but never envisioned that it might be successful enough to spawn a traditional ink-and-paper novel (published in Russia in 2005 and in America on March 18, 2010), an objectively excellent video game which appeared on both the Xbox 360 and Windows PCs, and the upcoming video game pseudo-sequel Metro: Last Light. However, it seems that even these additional iterations of the story are not enough for Glukhovsky. Thus, it was announced moments ago that MGM had purchased the film rights to the original Metro 2033 novel. According to The Hollywood Reporter, the film ‘s script will be written by virtually unknown scribe F. Scott Frazier, while the film is being produced by the similarly anonymous Mark Johnson (who is best known, the Hollywood Reporter claims, for producing the recent Chronicles Of Narnia films as well as 1999’s Galaxy Quest). The story is set in 2033, after a nuclear holocaust devastates Moscow and survivors head under ground. The focus is on a young survivor who is forced to go on a journey that will see him deal with mutants, soldiers of a Fourth Reich and political factions of various metro stations in order to reach above ground. That seems a pretty solid reiteration of the plot seen in both Metro 2033 game and the novel that serves as its source material. It does not, however, give us much idea of what direction this film might take. With such a little-known group of auteurs working on the project, we could see it going in any number of directions. Oppressive dystopian flick about the horrors man might inflict on his fellow man when facing the end of the world? That seems likely, but on the other hand we could also see the film being a pitch black dark comedy. For that matter we could even see the thing as a musical — not because that’s what we’re hoping for, but because Metro 2033 offers myriad different ways of adapting the tale for film. Though we’re intrigued by this revelation, the still-hypothetical Metro 2033 movie lacks one crucial element: An official release date. IMDB doesn’t even have a listing for this project as of yet, so we’re currently unable to offer the Internet’s best guess on when the flick might debut. 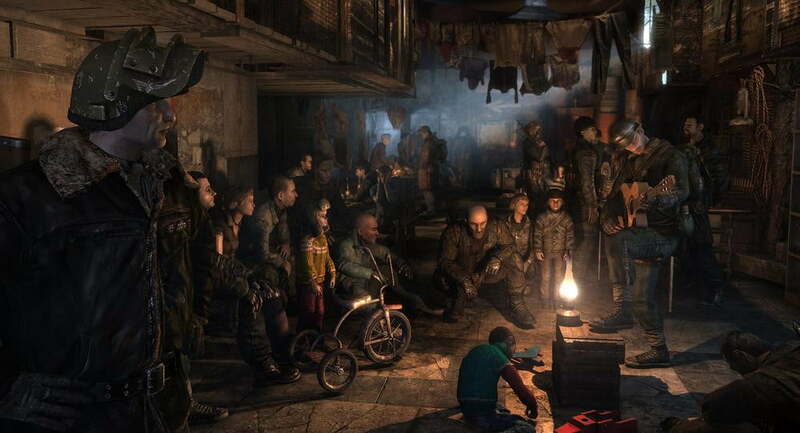 If forced at gunpoint we’d peg the release of Metro 2033 (or whatever it’s eventually titled) at “Summer 2014,” though again, that’s a total shot in the dark. Hopefully MGM, Frazier or Johnson sees fit to offer up additional official details in the near future, though until that time we urge you all to play or replay Metro 2033. I sat down with the upcoming Metro: Last Light at this year’s E3, and from what I played it seemed like a very solid first-person shooter, and it’s almost certain that you’ll want to be caught up with Metro 2033 canon before plunking down a wad of cash for theater tickets.